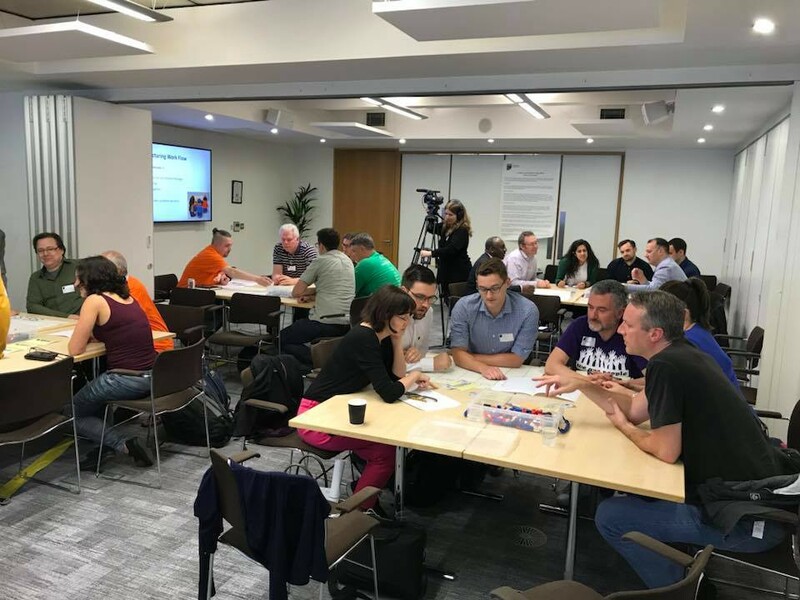 Whether you use Scrum or Kanban as a delivery method, as a ScrumMaster you must be able to help the team or organisation understand and use the methods or frameworks. This involves an element of teaching, coaching and mentoring. 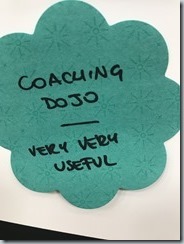 I have already looked at one way I have been establishing a coaching stance at my clients in my ‘Coaching Dojo’ blog earlier this week. Now I want to share with you something that Carlo Beschi and I put together for a conference and now subsequently using to help people become better trainers within the same organisation. This means I spend lots of time thinking about how to convey messages in a simple and fun way, that everyone gets and can practically take back to their work places and start using. I am one of the first people to turn off with my three second attention span if you just talk at me. Equally if you want me making random shapes with my body, then you are going to lose me too. For me it’s about getting the right balance of the two and really thinking about who your target audience is and what you want to get across. I have seen many great trainers over my years and love the Sharon Bowman’s ‘Training from the back of the room’. So when Carlo and I put together this offering it was a blend of all of our years experiences and what we have learnt from our own training and research. Our strategy was to include as many good and bad practices as we could . If the students could recognise them in us, maybe they could recognise them in themselves. To help facilitate this we created Bingo cards and of all the techniques we were planning on using in the session. As soon as they had a row, we encouraged them to shout ‘Bingo’. 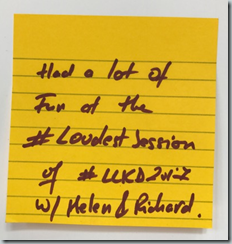 Not only was it educational, but it meant they kept focused throughout the session and had a little fun along the way. We rewarded winners with chocolate. The first half of the deck is sharing different thoughts and practices for running great training sessions. You won’t get this sense from the deck, but throughout the class we were using all the different techniques we were talking about so they could see them and experience them in person. 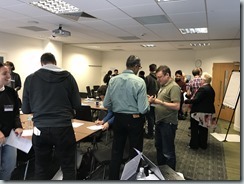 The second half is about handing over the reins to the attendees and getting them to put into practice everything that they had learnt over the course of the session. 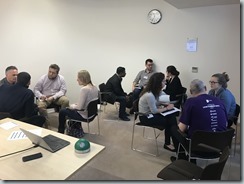 We gave them a time box to go away and plan a mini training session and we had 2 decks of cards for the topics, normal ones like story points and user stories and then wild cards which are harder topics such as probabilistic forecasting. You will see in the slides that there is a lot more content around them than just words on a page. Apologies, but without writing a whole book this is hard to convey. 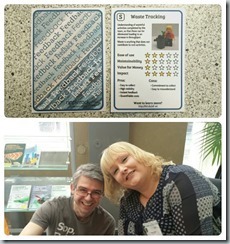 Carlo and I first run this at the Agile Tour and we got some really great feedback from the attendees. Now I have adapted it further and we are going to use it to facilitate a half day session at my client to train people in preparation for a software craftsmanship course, they are planning on running internally. We hope that they also take many practices into the sessions that they are about to write and plan. Maybe have a think about how your communities train each other and whether there is any value from any of the practices that we call out. Don’t forget that the practical element of any training is extremely important, and so that’s why we have included it with the provision of valuable feedback to the students. I know so many great trainers from my peer group who I admire. I took the opportunity to contact a few of them and ask them for some of their top tips. Keep an eye out for these in the deck and thank you to everyone who contributed them. I wanted to share these slides with you because I feel it’s important to help grow and harness the expertise in our industry. Together we have so much knowledge and by creating a sharing culture we can truly become awesome and transform the world of work. Thanks again to everyone who was involved in this and special thanks to Carlo Beschi my co creator. 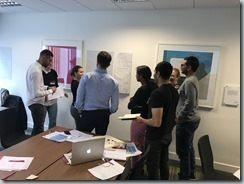 I recently had the opportunity to attend a two-day course on Kanban (KMP2, for those in the know) taught by the fabulous Helen Meek (Accredited Kanban trainer and all-round Agile Coach). 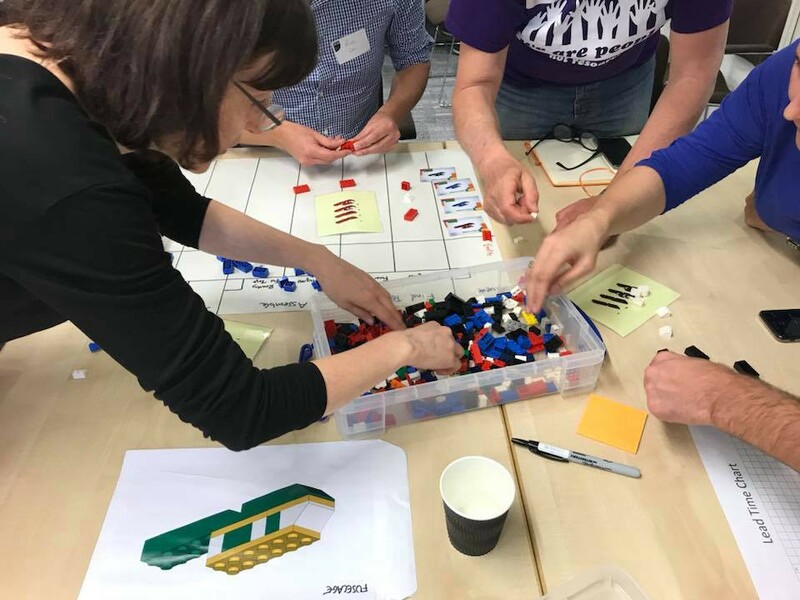 Knowing my love of all things Lego, Helen asked if I’d be interested in working together to find a way to demonstrate the scaling of Kanban and some of the KMP2 curriculum in 90 minutes rather than two days using bricks. 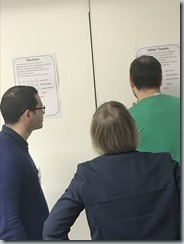 We targeted presenting at the London Lean Kanban day in April. … and we’d do it all with Lego! Each team would be responsible for constructing one part of a plane — either the fuselage, undercarriage, wing or tail. 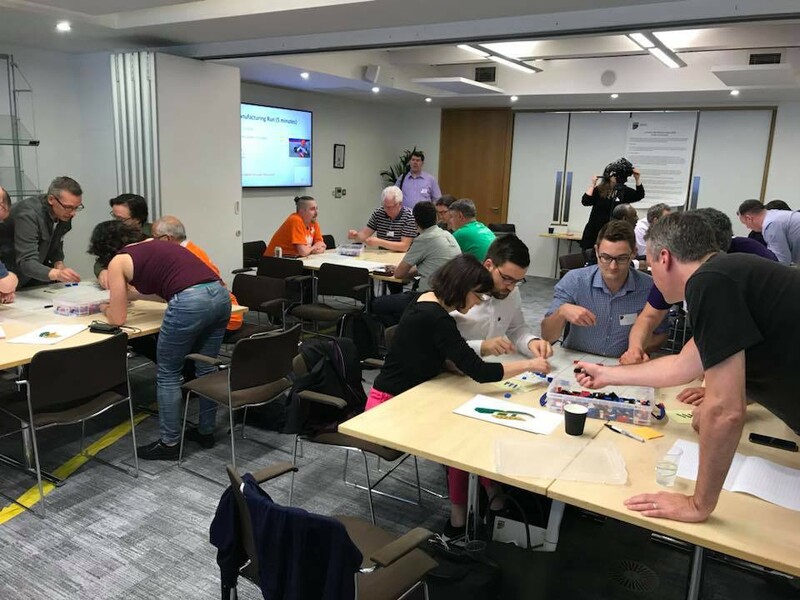 Each team was provided with the exact set of parts they needed to build all of their components, Lego style step-by-step instructions, a Kanban board and a set of laminated order cards. 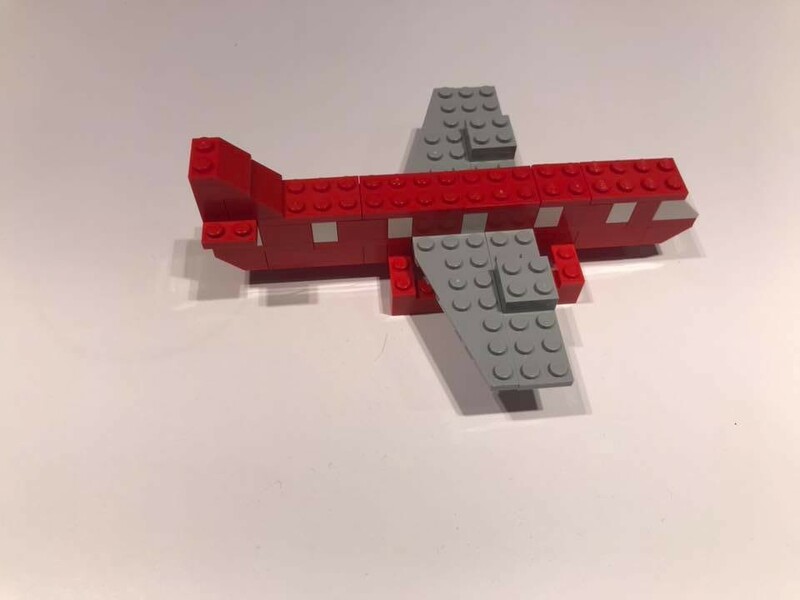 After the teams had been setup and the SDM was ready to go, we kicked off by giving them a one-minute Daily Standup (the first cadence) and then building us one red, one blue and two black planes in four minutes. After the first run and a short retrospective we gave the teams their first opportunity to scale out by introducing dependencies between them. To reflect the dependencies, we gave them a new Kanban board to use. At this point, we introduced the second cadence: Queue Replenishment. In this cadence, teams decide what to select from the pool of options. By moving work to the ‘Ready’ state they are making a commitment to complete it. Under normal circumstances, the meeting is no more than 30 minutes in length and would include key decision makers and stakeholders. Most teams will run a scheduled queue replenishment meeting — although on demand replenishment is desirable, it is often hard to coordinate. We gave our teams three minutes to run their queue replenishment and coordinate with each other. After giving the teams another set of orders, we started them on their second run (a daily standup and some building) along with a retrospective afterwards. After the second iteration, it was time to introduce the third cadence — the Service Delivery Review. In this cadence, we look at whether or not we are delivering according to customer expectations. We look at a single Kanban system and include key people from each activity (dev, test, analysis etc.). The group compares current capabilities against fitness criteria metrics and seeks to balance demand and risk. The session is typically 30 minutes in length. After conducting a short Service Delivery Review, we asked the teams to scale out again — this time with all five teams forming a single service. 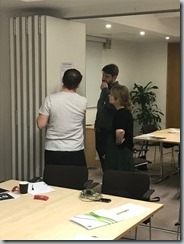 On this occasion we didn’t provide a board since testing of the game had shown that the teams had outgrown anything other than a full scale whiteboard and we weren’t able to carry one around for the session. During each scaling out session, we asked the teams to consider their policies, review their work in progress (WIP) limits, working together agreements and delivery lead times. The Delivery Planning meeting was the fourth cadence we introduced. Here, we plan what can be delivered and form a commitment to our customers. Issues about delivery are raised in this session, solved and/or taken to the Risk Review cadence. Key attendees will include anyone who accepts the deliveries or is involved in the logistics of delivery. Specialists are present for their technical knowledge and risk-assessment capabilities. This is a decision making meeting and could be 1–2 hours. We conducted a five-minute delivery planning meeting where we asked the teams to estimate their percentage confidence in the third iteration orders we’d just given them. For the third iteration, we introduced two new classes of service — a plane which had to be expedited and another which had to be completed by the end of the iteration as well as a fixed date plane, which had to be delivered by the end of the fourth iteration. Once more, the teams had five minutes to build the planes including a one-minute daily standup. At this point, we introduced the fifth cadence, the Risk Review. In this, we look at problems that put our delivery capability at risk. Anyone with information, experience of recent blockers or managers from dependent services may be in attendance at this meeting. As a result of the session we may review the assigned Class of Service and/or explicit policies. Techniques such as blocker clustering can be used to analyse the work. Sessions can be 1–2 hours in duration. We then kicked off the fourth and final iteration, asking the teams to build us 12 planes — four of each colour. After the last iteration, we introduced the Operations Review. This is a ‘Systems of Systems’ level review and would be facilitated by a senior leadership team member. Here, we review the demand and capability for each system with a particular focus on dependencies. Improvement suggestions, actions, decisions or required changes to strategy with designated owners are the key outcomes of this meeting. The duration can vary depending on the number of services. With a large number of attendees, it could last up to two hours. 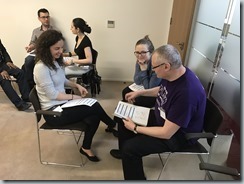 Although it is no substitute for the KMP2 course, the 90 minute session does give a really good look at six of the seven cadences, as well as giving attendees the opportunity to put them into practice. 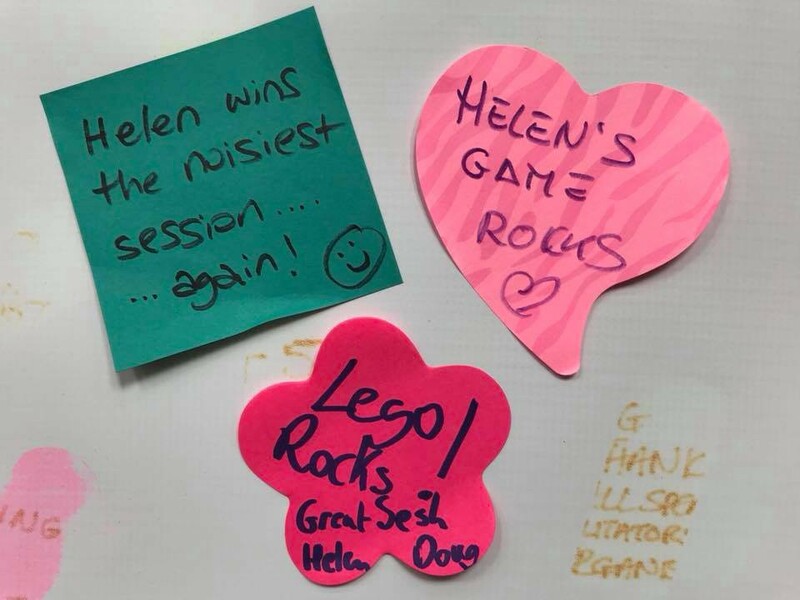 After our successful outings at the Kanban Coaching Exchange and the London Lean Kanban Days, Helen and I are looking for opportunities to run the session again — so hit me us if you’re interested. Doug Idle is a Senior Agile Delivery Manager. When he’s not delivering awesomeness he spends his time listening to Guns ’N’ Roses and rocking stages with his Velvet Revolver tribute band. I have been getting very involved with the Business Analysis community at my current client ASOS (Mega large fashion retailer). In the absence of a true Product Owner role here, the job they do is absolutely key. 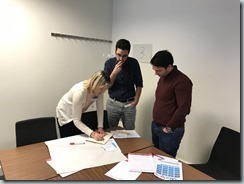 Over the last month I have been running a series of lunch and learn sessions to compliment some education they have been doing with the BCS Business Analysis course. One of those was user story mapping. I was quite pleased with my output and so I thought I would share it in a blog. This session will give you an idea on how to facilitate a user story mapping workshop. Over time you will develop your own techniques and we encourage you to share these as a community’. This hand-out will detail running a mock session and where you see the numbered bullets, these are top tips! Once you have an understanding and vision for your work, you are ready to start with user story mapping. These sessions are one of the first things you want to do. There is no need to produce separate requirements documents; this is the start of building your Product Backlog. If you do not have a vision, then this is something you can create in this session also. We value face to face collaboration and so workshops should be booked to include all business and IT teams involved. Ensure that you have a room with plenty of wall space. It’s ok to only invite a sub-set of the IT team. However, rotate people to allow everyone to have a chance to attend. They then have the responsibility to take this information back to the teams. Don’t panic if you need to have 20 people in the room to cover everything. We can cater for this, but we will need to think about how we run it logistically. Consider how long people can focus for. Working for one day or short bursts over multiple days keep people focussed. With 2 or 3 day workshops, people will get tired and lose energy. Print and add the Vision to the wall – We will need to ensure that we are working to this at all time. Print and make visible anything that is definitely out of the scope – We might want to add to this or challenge it. 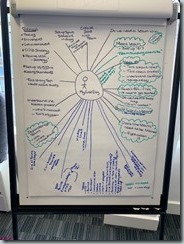 Capture Issues, Risks and Actions - Create a flip chart on the wall for each of these. It is a good idea to seek help from someone who can ensure these are all captured and owned. As a facilitator consider yourself as the conductor of the orchestra. You do not want to slow the session down and so having someone else to support with these means you can keep the session moving. 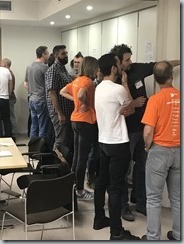 Create straw man User Roles – You do not have to do this, but the chances are the people in the room have never ever done user story mapping in their life. This means you might have many blank faces looking back at you. My advice is to prepare a sample of these to give people some context. You do not have to have all of them and they do not even have to be correct. People find it easier to review and amend then create from fresh. If you have a fully experience group, then this can be done in the session. Create straw man User Journeys – The same principle of straw man user roles. Prepare how you are going to explain what user story mapping is in a simplistic, jargon free language. I sometimes practice this with my mother! Have plenty of post it notes and sharpies! Take photos of everything! It’s a great reminder of what you have achieved once you have completed. It also helps you to show others when you are explaining the technique in the future. Time boxes shown vary from workshop to workshop. You will need to have a think about this about this before each workshop. Be prepared that everyone might not have the same view of the project. This is a great opportunity to get everyone aligned. Split up into groups of 3-4 users. Each of these groups will work together from this point forward as a team. You have 1 minute! Ensure that the teams are mixed in their skills; you can pre-set these before the session if it helps you. Many of your audience will not have completed this exercise before. You will need to explain what they are going to be doing. We can use the straw man examples to bring this to life. In your groups, write a list of types of user that you envisage will use your email app. You have 10 minutes to collaborate in coming up with a list of user personas. You can either the straw man or do from scratch depending on the experience of the attendees. Get people to brainstorm as many as possible. It doesn’t matter if they have duplicates. Walk around the groups giving support if questions arise. Sense the energy and the state of completeness of the exercise. Don’t be afraid to end or extend the time box if needed. Each team gets to introduce one persona at a time. The other teams discard that persona if they came up with it or they can challenge the description if they think theirs is better. If none of the teams has a specific persona, everyone can discuss if this persona is useful and decide if they want to add it to the list. Decide on the most dominant user persona – the one which describes the largest number of users for your app. This is the one we will start to create the story map for. Consider using different colours for internal and external users. Rationalise the names to a common list and agree that this is how you are going to refer to them from this point. We use the process of diverge and merge throughout this exercise. It can be seen as duplication, but you will find that each group gets the opportunity to discuss and each group will bring out different ideas. It highlights consensus and edge case we need to consider. In your groups, you need to think of your dominant user persona’s experience of your software. Write down a series of words that describe how they interact with your software in the order they do so, describing their journey through the software. You have 10 minutes to come up with a list in the order that best describes your user’s journey through the software. Use the straw man you have available or create from scratch depending on experience. Think verbs. This these are doing words at a high level e.g. Browsing, Searching, Buying. Typically you will see about 10 in a user journey. Any more than this might be a signal that they have gone into too lower level detail. These are not cast in stone and can change anytime. Sometimes these merge at a later stage. Each team gets to introduce their journey. 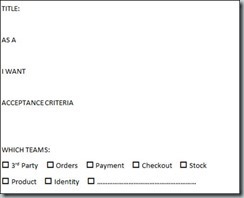 Each team can either place their section under and existing one or insert it between existing sections. The whole team can decide which sections have the best descriptions to create a single merged user journey. This is the story journey or spine, and will allow you to organise your software features in these sections. Once the team has decided on the best descriptions and order of the journey, all of the others are discarded. At this point, talk about what we have achieved so far. 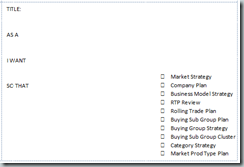 You will now need to introduce Epics, Features & User stories as a concept. During the next stage we are looking for breadth, not depth and so it is acceptable to collect meaningful titles. You will need to consider as a facilitator where you insert the natural breaks. The next part of the exercise is intensive and you might want a break before this. Again energy of the room will be your friend. For each section, each team takes 10 minutes to write down features they would need to create to satisfy the dominant users journey. We found creating a template (See Appendix) helpful because it set the expectation of format, but we could also collect other information that would help us manage dependencies and teams impacted. This will help you at a later stage. These can be re-formatted each time you want to collet something different. Get them to focus on one section at a time, rather than everything. Each team introduces the features for the section that we have been working on and introduces them to the rest of the teams. If other teams have the same or similar feature they collectively decide which one to keep and the rest are discarded. If there are features that only one team has come up with, everyone gets to decide if this is relevant and keep it if it is. It is key that they own this process and so keep them active by getting them up out of their chairs and presenting back. Remember you are facilitating from the back of the room. Use your domain knowledge to stop people going into too much detail. Consider If that conversation needs to be banked as part of Issues, Risks and Actions. It doesn’t matter how important the person is, if they need to be moved on, move them on! The teams repeat the exercise for each part of the user journey until complete. If you have many workshops I ensure that I gather feedback from the end of each day. If there is something we can do better, why wouldn’t we. Now you need to repeat this exercise for each of the other different User Personas you have starting with the next most dominant .If you are lucky, then these will fit into the existing journey. If not, then you might have to review the journey or even create a new one if the journey would be significantly different. It is not unusual to find many personas, but only a few have active roles within the journey. As long as you check these, then all is good. Take the opportunity to play back to the group what we have achieved so far. We have now got the breadth of what we need to achieve. Prioritisation and slicing helps us to focus on the stories that need to be broken down first. There is no point in getting going deep on details for all the stories if they are not being delivered for several months or could get removed altogether. We want to remove as much wastefulness as possible. Each team takes a column and prioritises the features underneath it. The features at the top should be the ones that we absolutely need, the ones at the bottom should be the ones we could potentially live without. 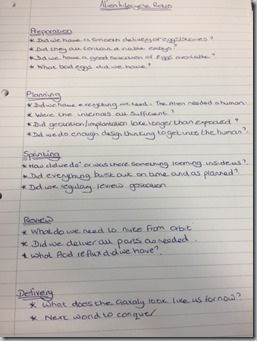 Teams than then swap columns and reprioritise if necessary – any items that are repetitively moved are taken to one side for a wider group discussion. This is a good technique for large groups. Ask them to all gather around and do this together. Another spin on this is to them to do this silently. By the end you will have columns of priority. The whole team then look at the map and discuss what could be delivered and what the minimum would look like. They use lining tape to draw a line around the stories in show a slice of functionality. The first of these would be the minimum viable product. The following slices would be increments of functionality. At this stage we do not know how big these slices are, but it gives us areas to focus on first. Get everyone to agree that to the best of their knowledge this is ‘it’ for now. What the needs to be done next to achieve the lower level story information. 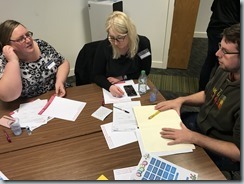 Further workshop might need to be booked to get lower level information or we might have enough knowledge, information and contacts to be able to draft these as Business Analysts and then gain consensus from them during the usual refinement process. 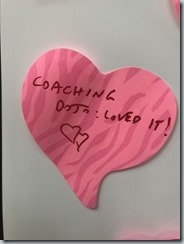 I once asked a friend of mine ‘What would be the one thing you would change about Scrum?’ He pondered with that question for a short time and then responded. ‘I would change the name of the Sprint Review’. This intrigued me and followed a conversation that reminded me of a few core principles that I had pushed to one side in my mind. Quite often I hear teams refer to these sessions as a ‘Show and tell’ or a ‘Demo’. I had never felt passionately about a name before until I had spoken to my friend. I thought back to the sessions that I had been seeing recently and wondered, were they just a demo or were we truly collecting feedback? The Sprint Review is actually a form of retrospective. 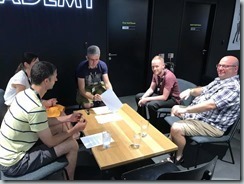 In preparation of the review the team would have completed the Sprint to the Definition of Done and spent no more than an hour or two preparing for the Sprint Review (depending on length of sprint). These are informal sessions and there is no expectation to create flashy power points. Work that is NOT DONE is NOT SHOWN…..
As with all ceremonies, they should be a regular heartbeat and the customers know when to expect them. The same time and the same place every 2 weeks is the dream, but sometimes tough to achieve. As a ScrumMaster I would expect the team to self-organise over the Sprint Review. I might add a task to the Sprint Backlog during planning as a reminder to the team that this needs to be prepared for. When running large reviews, it is critical to be prepared. Often I book the meeting room 15 minutes before the allotted time so the team can go in, set up the machines and open any tabs that they might need. I am always conscious that we have lots of people and so avoiding time spent on waiting is something we can always do with removing. If you find that you are not getting people attending the Sprint Review , then think about your advertising. As a ScrumMaster I have put up posters, gone to visit stakeholders 121, sent mails around the office, floor walked inviting people that might have an interest or dependency. 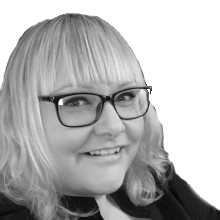 In larger organisations where multiple teams rely on the same people, then you need to collaborate and find out what would work best for your attendees. You might need to experiment with this. 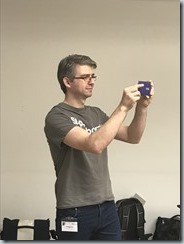 Ultimately, I do what it takes to get people to the Sprint Review. Once the team have shown the fruits of their labour, we then need to do the most important part. The part that is always forgotten……collecting the feedback. What did we like about these features? What didn’t we like about these Features? They did look at me a little crazy as this was something radical to them, but it ultimately got them to think about what we had just shown and enabled the Product Owner to get valuable feedback on where to head next. 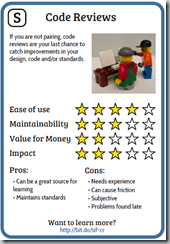 How do you collect feedback in your Sprint Reviews? 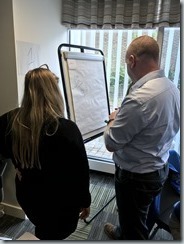 At the end of the meeting the Product Owner should then give the attendees a view of the candidate stories for the next Sprint. I impress the word ‘Candidate’ on you because they are not confirmed until you have completed Sprint Planning. Remember, the Sprint Review should not be the first time your Product Owner has seen the work. They should be looking at this regularly during the sprint, as with bringing in stakeholders to get early sight. Nothing in a Sprint Review should be a surprise! Why do you have nothing to show? Why was the testing not completed? Why did the developer not complete the work until the last day? You get the picture. Remember what I about the ScrumMaster remorsefully looking to establish and remove dysfunctions of the team? There are visual and verbal clues over everything you do. Other things to watch out for is where teams are not vertically slicing and so just delivering component parts. I also had this at an organisation recently. The question I ask them is ‘If I pulled the plug on your feature right now, what value have I got for my money?’ Because if I was truly being iterative and incremental, I would have still got something I could sell…right?? If I pulled your Sprint right now, do you have something that could still be used? On the odd occasion there is a small config or non-client facing change, then assume your attendees don’t want to see physical code. Remember they are likely to be from the business. In this instance it is perfectly acceptable to just explain in plain English the change you have made and move on. Another beautiful technique I saw a team do was story cards. One of the developers created it and used it to explain to clients complicated technical code changes that sat deep in a system. It was his way of articulating what they had done. Consider if your stakeholders are distributed having two way video so you can see what they are doing and reactions to the product. Consider actually getting some interaction from your stakeholders. Invite them to play with the product in real time. You do not need to tell your stakeholders how many story points you completed. You don’t have to justify why stuff was not done. 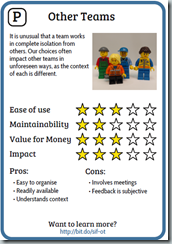 As ScrumMasters we can help this practice to be clear, transparent and engaging to the attendees. Use the walls and visualisation to help the session. If the Product Owner cannot facilitate the Sprint Review as they are out of the office. Ask for a volunteer to do this the same as any other the session. NEVER CANCEL! I have only ever cancelled 3 in eight years and 1 of those was because it was Christmas. If you are cancelling these, its probably because you are hiding something. If you take one thing from this blog, then that should be. If I said to you ‘The Daily Stand Up’ what words immediately pop up in your mind? It is so easy to forget what the key outcomes of a Daily Stand Up meeting is and get caught up in the mechanics of it. Team members to talk to each other and collaborate on the work that has been committed to. To understand what problems are impacting us and what any potential upcoming risks are. What value we need to unlock from the board. Whether we can complete everything still we set out too. If not, there are expectations to be managed. Did you know your most valuable pieces of work are actually the items that are waiting to be tested and deployed? This is because we are only potentially a short stop away from benefits realisation or important feedback. As teams we need to be focusing on ‘Finishing’ things, rather than starting new work. This might even mean that developers have to test!. So a key outcome for me as an ScrumMaster is about teams swarming on getting whole items across the board and releasing the value early. Over time I expect teams will alter this for their needs rather than slavishly following rules. I vary the technique depending what traits I see the team exhibiting. I alter the three questions to just be. - What is everyone working on today? - What impediments or risks have we? - Can we still meet our commitment? Handy to have your burn down on the board to aid this conversation. I tend to drop the ‘What did you do yesterday?’ questions as I trust that people come to work to do their best and that they are talking as a team where dependencies arise. They do not need to justify to me what they did. People shouldn’t feel as if they have to account for every minute of the day. Walking the board is also a great technique and useful when you have non-technical people wanting to know when their stuff is going to be done. This technique really helps with swarming. This is the practice that Kanban teaches. Typically we work from right to left looking at what it is going to take to complete this work. It is an opportunity for the team to pair together to get items over the line. If I have a team with lots of blockers, then I might just get the team to talk about these key items to see what we can do as a team to keep things moving. I might vary running these meetings in different styles on a daily basis to get different information shared. You don’t have to do the same style every day. We need to think about how we can stop this from happening, They are not there to report to you! Did you know that the ScrumMaster doesn’t even need to be at the Daily Stand ups? The team should be able to facilitate this for themselves and manage their impediments. Pop off for a cuppa and see if you team springs into action! Don’t stand in front of the board. We should be as standard facilitating from the back of the room and so the focus is not on us. 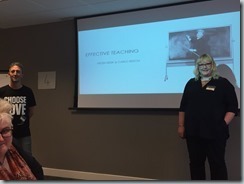 If you have not heard of facilitating from the back of the room….find out! Use a prop such as a ball to get the teams to throw around and speak. This helps them to decide who they want next to speak. No one is looking at you either, because they are focusing on the person with the ball, and then not dropping it. Rotate the role of facilitator around the team, let them all have a go. I used to play ‘Spin the pen’ and if it lands on you, then you are facilitating for the day. If some people are nervous of this, then it’s a perfect coaching opportunity for you. Always ensure that you give the facilitator positive and improvement feedback. The meetings should be in a regular heartbeat and so teams know the time and the place of the meeting as standard. The time to update the board is NOT during the meeting. People should be doing this on a regular basis throughout the day and not just saving it up. This will help you to keep it to the recommended 15 minutes per day. Did you know you don’t have to run these in the morning? Teams can actually choose whatever time is best for them. You can even have more than one a day if you are working on critical tasks. Some teams even have them last thing in the evening so that they are set up for the day to come in and get cracking. The key is whatever ever you do the team is getting value from these sessions. A technique that I adopt to validate this, is to ask the team members to raise their hand of they feel they are not getting value, because maybe the conversation has diverged into problem solving. This is a sure fire way to make sure that you keep things on track. 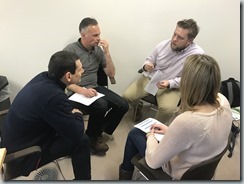 If you do have lots of problem solving, then maybe your need to book 15 minutes after the Daily Stand up so the team can then brainstorm what they need to, but have a clean finish to the previous meeting. The most powerful tools we have as ScrumMasters is observation and facilitation. Observe what you are seeing and always challenge whether we can improve the way that we work. Use your facilitation to guide the team and to help them decide and achieve for themselves what needs to be. We are there as ScrumMasters to grease the wheels of the teams, reduce lead times, protect the values, principles and practices and to ensure that we continuously improve ways of working. Quality is also at the heart of everything we do. So reflecting on your daily stand up meeting today, what could you do differently. I want to thank: Nigel Baker, Geoff Watts, Bazil Arden and Alex Gooding. I asked them all what their lesser known top tips or facts were in preparation of this article and they provided their input. I have been working with a new client over the last 3 months. This has been really fun as it has meant that I get to explore Whitstable, meet new people and of course kick starting the teams on the right path to agility. If I am being honest, working with teams is a real passion of mine and the one thing I miss being an Agile Coach. 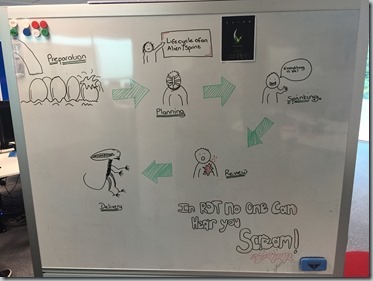 We have had some pretty major projects going on at the same time as the move to Scrum and naturally this caused some unease about when things are going to get done. Now I am not a tools person, I actively avoid using them on the basis that people change their behaviours around how the tool works rather than what is in the best interest of the team, but my mind has been changed recently by one particular chart. For those that know me, know that I am not very good with excel and I always envied coaches like Dan Brown who can whip out a beautiful spread sheet full of charts and useful data. Meanwhile I am trying to work out how to add up three cells (slight exaggeration there!) So what I am about to show you is an absolute pipe dream for me. Yes I know it’s not new, but it’s something that coaches and ScrumMasters have to craft themselves on spread sheets and export data from old systems…often having to access the deep dark depths that no mortals query can reach. Each person then has their own version with different formulas and there is no consistency. The boys at ripple rock have been beavering away for the last 6 months building something that plugs into your TFS or Jira installation. This means my clients, with a flick of a button on VSTS can now have access to be able to forecast based on data and understand where the optimistic and pessimistic date ranges are. They can run this on the whole backlog and for specific projects. This has been revolutionary to them and helped them to make decisions about client interactions and live dates. It is also something they can run repeatedly as and when the backlog changes and the teams complete their work. I can clearly see the scope of the work and the through put rate that we are completing at. As no two teams are the same, I am given the option to change the chart settings. I also want to say I am proud of what you have all achieved in a short period of time. So thank you for creating it and my clients are already loving it. Looking forward to the next evolution!! Continuing my theme of movies from the 80s, I was having a think about other movies that I love and how I could use them to drive continuous improvement in the team. Ladies and gentlemen, I want to introduce you to ‘Alien’. A retrospective that looks at the gestation of the creature in comparison to the sprint cycle. You are probably thinking I am a little crazy, I like to think its about pushing the boundaries and keeping it fresh. Typically I print off my images, but I thought I would hand craft this time. In the name of complete transparency I did not draw the end Alien. I thank Richard Arpino for this. I asked each member of the team to brainstorm their thoughts around the key themes. I used the following ‘Film relevant’ questions to help them when they got stuck. We then themed, discussed and agreed on the final actions. Bonus points were awarded for each film line they managed to get in. Overall appreciation for the retrospective was high and there was definitely jealousy amongst the floor about my team always getting the best retros. With all my retrospectives they are fun, people want to join in and we deliver real actions out the end. Keep you retrospectives fun people!